BG 56 C-E An easy-to-use handheld blower with a simplified starting system. Designed with ease of use in mind, the STIHL® BG 56 C-E features our simplified starting system with the STIHL Easy2Start™. The STIHL Easy2Start lets you start the engine with a long easy pull of the starting rope rather than a hard fast jerk, making starting virtually effortless. The semi-automatic choke and the new start / stop switch make it virtually impossible to flood when starting this unit. 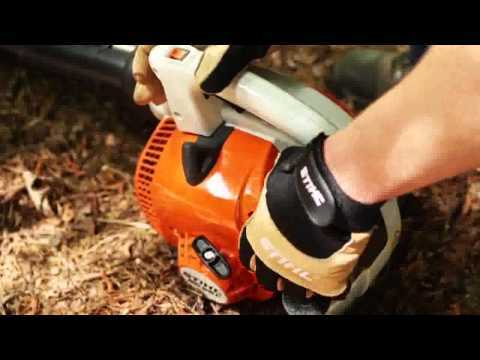 The high-performance, low-emission engine makes quick work of leaves and other yard waste.